If you haven’t already, register to play rugby with the Dee Why Lions in 2019. Once you have registered you will receive your Complimentary Junior Season Pass from the club. For the match at Brookvale Oval this Saturday, please print and bring this pass to to the match. 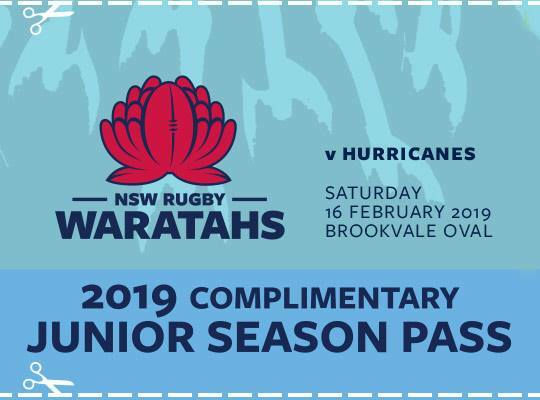 Note: this pass is only valid for the entry to the match at Brookvale Oval on Saturday 16 Feb. Please show this pass to the staff at the gate for entry. Get there early, avoid the queues! Great turn out for tonight’s first junior pre-season session. Still plenty of spaces if you want to join us. WaratahsNew Club House - 9th February 2019.